Hi, I’m just finishing level 3,( trumpet sound?) and was wondering if anyone had any suggestions re what to do next ( other than speak as much as possible?). What about course 1/2/3? Firstly, congratulations on completing level 3 Mandy! I’m sure others will jump in with their choices - I know there are some who have done the older course material, there are some who have done the “opposite end” levels (i.e. Northern if they first did Southern and vice versa), and no doubt some who did both! The choice is yours! All I would add is to now suppliment the SSiW material with as much speaking and listening as possible and also start reading and writing more if you haven’t already. Hi, thanks but I can’t see how to access it, is it available? Thanks, I actually haven’t done any reading and writing so that’s a good point. I’m trying to watch tv, I like dal Ati. Firstly, congratulations! It’s a great felling isn’t it - I have just gone through a process of trying various things post Level 3. …also there probably isn’t a single answer for anyone in that there are things which are longer term investments and work by osmosis over a period and things which have rewards which are more short term…and you can of course do more than one! However, I would confess I have found it more than a bit tricky to find a way to get started on ‘Level 4’. 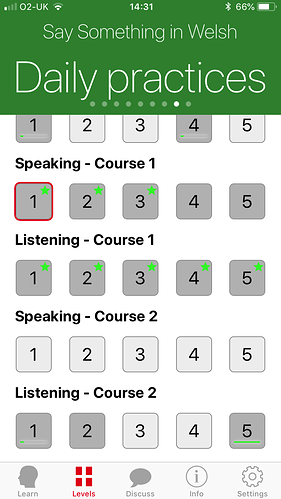 …I tried lots of things but what-do-you-know, I eventually stumbled on the listening exercises from the old courses in SSIW. 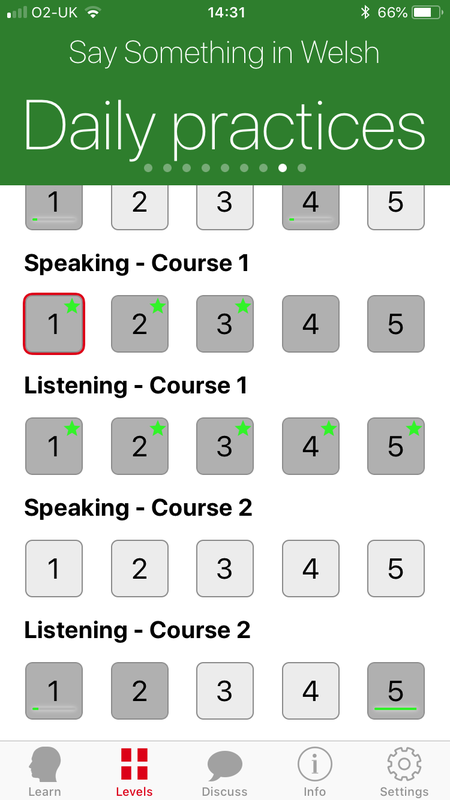 I actually found these tough too …these exercises are moderately pacey and involve fairly random sentences in different tenses all jumbled together …but …use vocabulary you substantially understand…and you can listen over and over…and get your ‘ear in’. What it really made me realise was how much of a separate skill listening is…it allows you to train yourself to pick out the things you know / how they sound in a conversation and to exclude the spanner-in-the-works of something being said you don’t understand - (for now) - dividing and conquering if you like. I am still going through this process and steadily improving. I live in Yorkshire and have limited chance to practice however; I think the context in which people learn greatly effects what is best for them; your situation may be different. Great, I’ve got a subscription so I’ll look forward to it. I just want to say thanks too, ssiw really is amazing. Thanks, one thing I’m doing is listening to Dal Ati, which I really like. It was really useful doing the North speaking stuff, partly in terms of understanding vocab on the radio a tiny bit better and in hearing words in N.Wales accent. I think at this point we need to read the language a bit, and I was surprised how useful this has been. There’s words you’ll have heard but never seen written down; possibly sounds that are more than one word, etc. And seeing it all written down was helpful (this feeds back to the spoken language). Would love to hear your suggestions too. Hi Chris, thanks, I’ll look at the book. 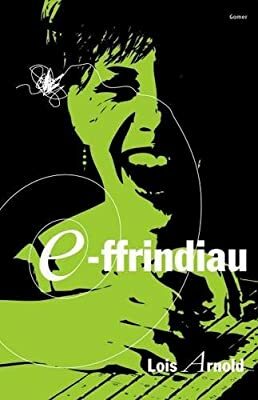 Have you read any thing of Bethan Gwanas? I’ve got Bywyd Blodwen Jones, they are good for vocab but I’m finding it hard to knuckle down after finishing level 3, I think I expected to be better! Some people have suggested doing the old course but for some reason I can’t find the motivation, I feel I need something new. The old listening practices are solid gold for the car or whilst you are doing the ironing…tough to start…but tough in a good way…5 mins each. I too would recommend doing some of the Course 3 (Old) - I thought it would feel like going backwards but not at all. Enough challenging things there to keep you going!